Making one's Test debut for the national team is perhaps the biggest moment in one's life. Over the course of their cricketing history, the South African batsmen have provided a plenty of knocks for an ardent fan to remember. However, very few can actually boast of delivering on their first outing on the international stage and that is, even more, the case when it comes to batsmen. 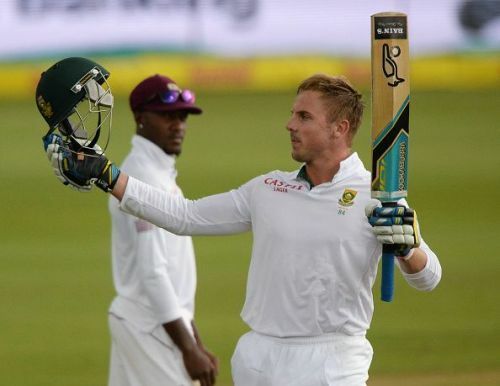 Scoring big on a Test debut is a rare achievement but many South African batsmen have been successful in delivering sterling performances in their first games. Here is a look at the 5 batsmen, who will go down in history for being the top 5 scorers on debut for South Africa in Test cricket. The left-handed middle-order batsman Stiaan van Zyl was a heavy scorer in the South African domestic circuit for many years before he made it to the national team. After waiting for a long time to get a chance to play, his time to shine came in the 1st Test of the three-match series against the West Indies at home at Centurion Park. During the course of a run fest, Van Zyl played an excellent innings to bring up his century on debut. He came in to bat after Hashim Amla and AB de Villiers had plundered centuries. 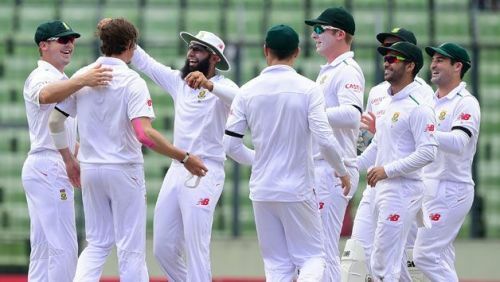 However, the left-hander cashed in against a tiring attack and scored a quick century to boost South Africa's total further. He hit 15 boundaries and scored 101 in 130 deliveries before The Proteas declared their innings. The hosts went on to win by an innings and 220 runs. He played 11 more Tests for his country before taking up a Kolpak contract in 2017 with English County side, Sussex.